Peaches <3 Cream is an AMAZING pastel-nearly-neon orange. It applied VERY easily, shown is 2 coats. It dries to a satiny finish, which can be made shiny if you like with some TC. 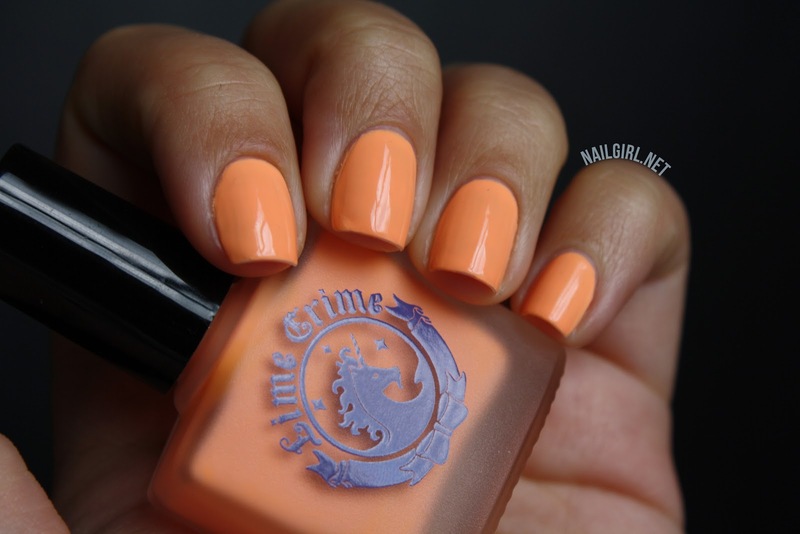 Have you tried any of the Lime Crime polishes yet? I am DYING for the Lime Crime polishes from this collection...on the top of my lemming list right now!